Weather: Beijing weather in October is cool and dry. 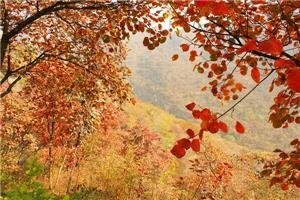 The climate will transit from autumn to winter in this month. The average low and high temperatures are respectively 7 °C (45 °F) and 19 °C (66 °F). The weather is very changeable in October. Beware large temperature differences between day and night, and between a fine day and a rainy day. The temperature difference can be larger than 10 °C (18 °F). Data Graphs: Below are graphics for Beijing temperatures and weather conditions for a typical October. Mostly October is clear, 19 out of 31 days are sunny, 9 days are misty in 31 days, only rains on about 3 in 31 days and 1 day is cloudy. Clothing: You may need a thick coat for the coolest weather; otherwise a sweater and a jacket are adequate. 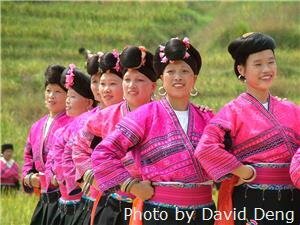 October 1 to 7 is the National Day holiday in China, and hotel rates and tour prices are considerably higher than usual. Avoid visiting during this period, or book well in advance and expect crowded transportation and tourist attractions. 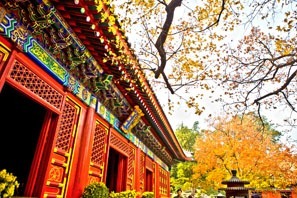 October is the best time to see autumn colors in Beijing. 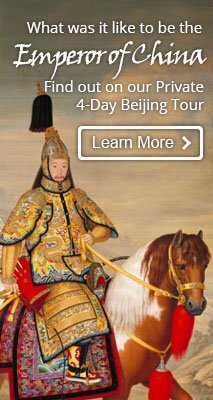 Recommended places include the Summer Palace, Jingshan Park and Fragrant Hill. The fall foliage scenery along the Badaling and Mutianyu Great Wall is also worth a trip. 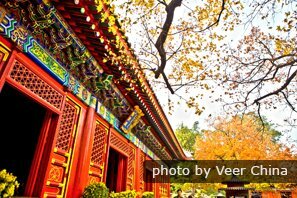 See best places to see fall foliage in Beijing.